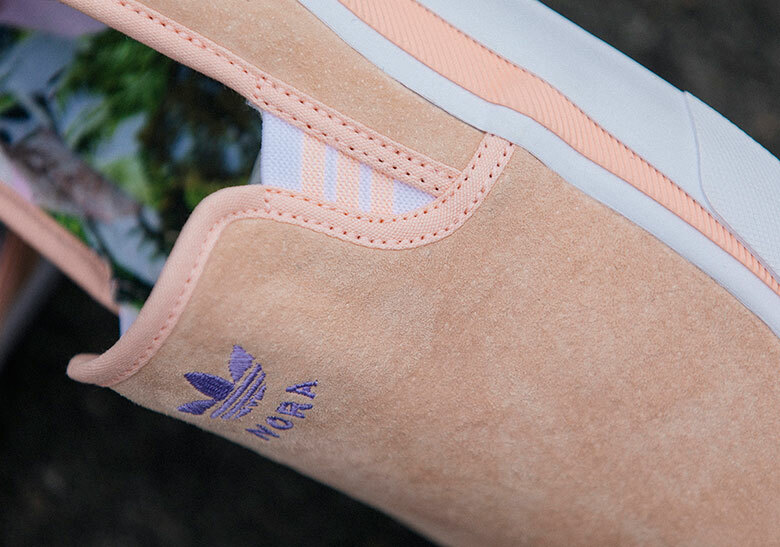 As another step to ignite the adidas skateboarding sub-label, the Three Stripes is recruiting the talents of pro skater Nora Vasconcellos, effectively making her their very first female team rider. Her debuting silhouette, which takes the likeness of popular style and skate staples, is a reconceptualized edition of the brand’s Sabalo model, removing the traditional lace units for a slip-on execution. 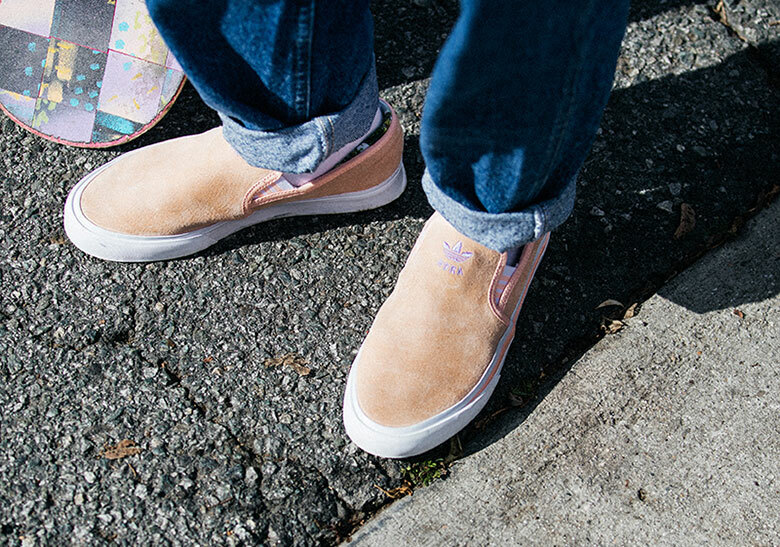 Pig nubuck uppers adorn the entire construction in a smooth lavender tint, calling to one of Vasconcellos’ personal favorite shades. 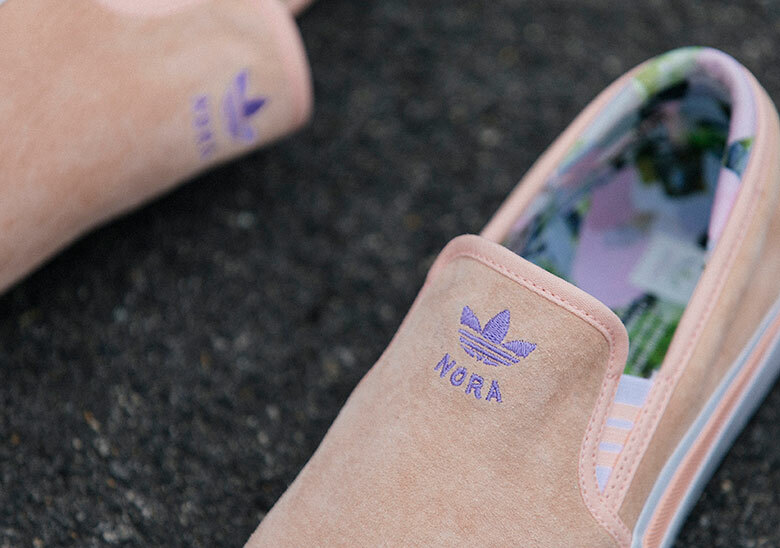 What’s more, the skater infuses her coinciding passion for art, pairing the performance-focused vulcanized soles and adiprene sockliners with a her own floral artwork as well as an eye-catching purple embroidery hit. Striped detailing along the elastic as well as the midsole add extra notes of flair to quite a simple model, creating balance between utility and design. Grab a detailed look at the forthcoming release below and expect these to become available at adidas.com on April 4th for a retail of $70 USD.